We are often asked if a business catalogue remains relevant in the digital age of 2016? The simple response to this is: yes, catalogues are still highly relevant and effective. A catalogue is a fantastic way to get your companies products in your customers hand – whether they are new customer or returning customer. A catalogue gives people a way of seeing the scope of products you have on offer: from showcasing new products, specials or providing an overall guide to your regular product line. 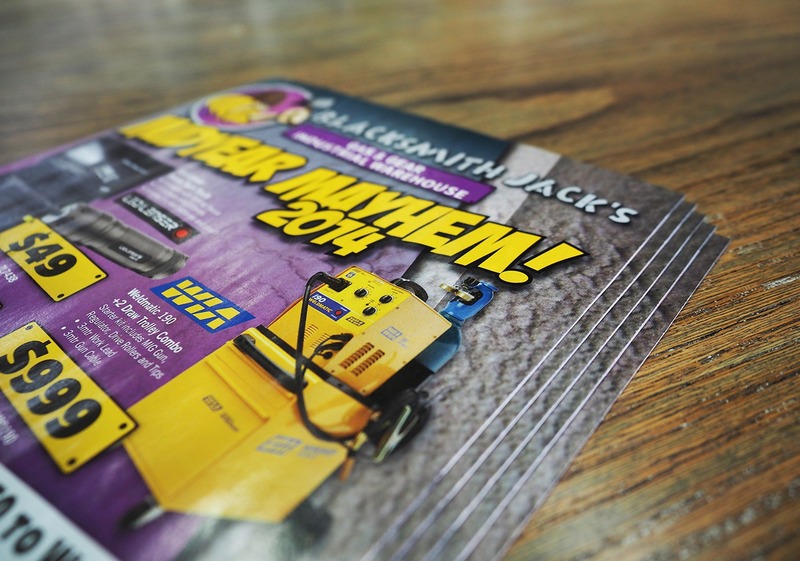 A catalogue is a great way to advertise you most desired products. Using catalogues in conjunction with other media such as press ads, a website and social media is often the most effective marketing strategy. We talk more about catalogues on our catalogue page if you would like to know more. Otherwise, sit back and enjoy what Andy has to say below. G’day! It’s Andy from Circle Media. I’m going to talk to you about catalogues today. Catalogues are still one of the most important methods of getting information about your products out to consumers, and they still work. They work a treat. They’re a great way to put your products into clients’ hands and give them information that makes it relevant for them to come in and buy from you. And really, at the end of the day they’re pretty cost effective when it comes down to it. Yeah, I know, they might be non-sustainable, that sort of thing. But I’ll tell you what, they still work. And we’ve got plenty of clients that still use them. The trick with the catalogue is to make sure that you have prices in there. It doesn’t have to be full of special offers. It doesn’t have to be anything else, but you do need to price your products when you put them in to your catalogue. It’s as simple as that. Give them the information they want. Give them a description of the product and the price – very easy. The other trick with a catalogue is making sure you can distribute it. Before you even consider doing a catalogue, you might want to have a discussion about how you’re actually going to get the catalogue in to people’s hands. Digital printing nowadays makes catalogue printing very, very cost efficient for small runs. You might print 500 catalogues, you might print 1000 catalogues, it might be a buying guide that you do once a year, but you’re putting it in people’s hands and they can hang onto it and do something with it. The biggest trick with catalogues is just thinking about what I’m going to put into it and how I’m going to get it in to people’s hands. If you want to have a talk about catalogues, come and have a talk with us at Circle Media. We’ve been doing catalogues for 10 years. We know them inside out. We’ve done catalogues for some of Australia’s biggest retailers. We’ve printed more than 9 million a month, and we produce more than 800 pages in a month, so we know our stuff when it comes to catalogues. Want to have a talk about catalogues? Come and have a chat to us. Give us a call at 03 5273 4846 or alternatively, go on to our website, circlemedia.com.au. We’d love to have a chat to you about it. Feel free to have a talk to us. Keep an eye out for our next blog and thanks for listening.